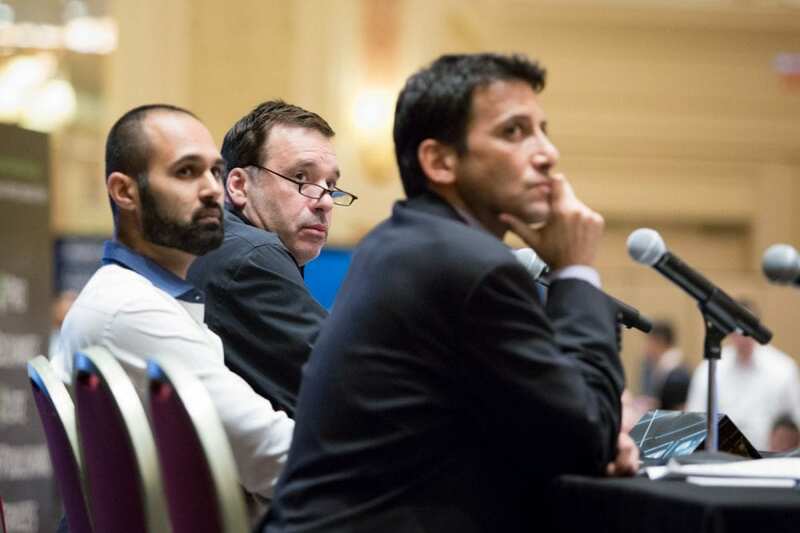 Ticket Summit, the leading conference and trade show for ticketing and live entertainment executives, will be held this week, Tuesday, July 11 through Thursday, July 13 at The Venetian Las Vegas! The three day conference and trade show will kick off on Tuesday. First up is the Networking Cocktail Party, an unparalleled networking opportunity. The trade show, which features more than 30 exhibitors, will run from Tuesday through Thursday afternoon. Panel sessions begin on Wednesday morning with Power Your PPC! and Reduce Online Fraud and the new Workshops for Entrepreneurs kick off with Insurance Matters for Small Business Owners and Mergers and Acquisitions for Ticket Brokers. After lunch on Wednesday, join key leaders in the industry for the keynote panel The Ticketing Industry. Lee Shenker of DTI Management will lead a discussion of trends and pressing issues facing the ticketing industry. Panelists include Curtis Cheng, CEO of DTI Management; Michael Katz, Head of B2B at StubHub; Larry Plawsky, SVP and GM of Ticketmaster Resale; and Don Vaccaro, CEO of TicketNetwork. Wednesday afternoon will feature panels on Lending for Ticket Brokers and Sports & Venues and workshops on How to Understand Financial Statements and Improve Profitability and Legal Concerns for Ticket Brokers. On Thursday, July 13, panel sessions continue with Jumpstart Your SEO! and Using Third-Party Tools and Managing Inventory. Workshops for Entrepreneurs will include Strategies to Grow and Position Your Business and Legal Concerns for Ticket Brokers. After lunch on Thursday, Curtis Cheng of DTI Management will moderate the second keynote, Backstage Pass to the Concert Industry. In this panel, Michele Bernstein, Partner and Head of Tour Marketing and Ticketing, WME; David Marcus, EVP, Head of Music at Ticketmaster; and Bryan Perez, CEO of AXS will take attendees inside the concert industry and discuss trends in music ticketing. Thursday afternoon panels will wrap up with Legislative Trends in the Ticketing Industry and the Coalition for Ticket Fairness Forum. Thursday afternoon workshops include Business Valuation and Exit Planning and Insurance Matters for Small Business Owners. Throughout the conference, TicketNetwork will host a series of demo presentations about its products in the TicketNetwork® Demo Room. Ticket Summit will close with the Closing Gala at TAO on Thursday, July 13 from 7 PM to 9 PM. Passes to the conference can be purchased on the Ticket Summit website or on site at The Venetian.